Having just six weeks to build a fully functioning British GT team may seem impossible, but racing driver and team owner Anna Walewska proves it can be done. Walewska races for her own ProTechnika Motorsport team in British GT after leaving Team Hard at the end of 2017 to set up the fledgeling outfit, and now uses her skills and understanding to be able to start her own team. Starting from scratch has allowed her to cherry-pick staff and allow them to learn within a competitive race team. "I wanted to start my own team so I can have the people I want to work with me and have been fortunate enough to cherry pick those I want in my team," she said. "My long-term association with The University of Bolton as their Ambassador to The National Centre of Motorsport Engineering gives me the opportunity to give something back to them by running my own team and facilitating their student experience within motorsport with ProTechnika." "This is so I can ensure the students are learning useful skills to give them the best chance and edge over any other [person] who wants to pursue a career in this highly competitive industry on and off track. I find this very rewarding." Having only six weeks to create a team is a monumental challenge and Walewska put the quick success of the team down to her employees. 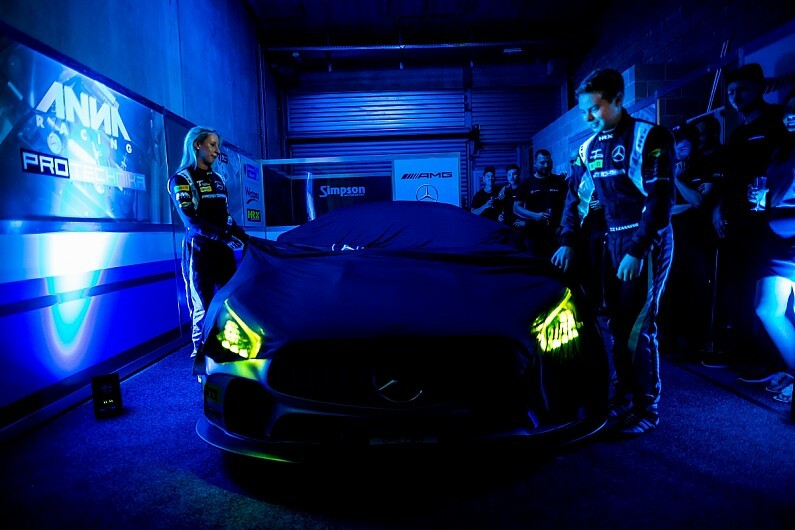 "I set ProTechnika up in six weeks, that itself was a challenge and debuting at Spa-Francorchamps in British GT was a big ask logistically but we pulled it off and to finish second in Pro-Am class on our first outing in the rapid Mercedes-Benz AMG GT4 car was very satisfying. However, I could not have achieved this without the people I have chosen to be around me." Surrounding yourself with the right people when building a team within such tight time constraints and a limited budget is essential. "I think my long-standing career in motorsport carries weight and the fact that I am still a current racing driver setting up my own team attracts people because they know I understand how the team should run from a drivers perspective as well as commercially." Her team-mate Tom Canning has impressed in the lower categories, racing in the Ginetta Championship in 2017 and transitioning to British GT this year. "This gives me great rapport with my signed driver, Tom Canning, who really is one to watch for the future as we have witnessed his natural ability behind the wheel of the Mercedes and outright speed being the quickest in British GT at Brands Hatch in warm up. "I only want to attract the best and for that, I will pull together the best team and the best car."